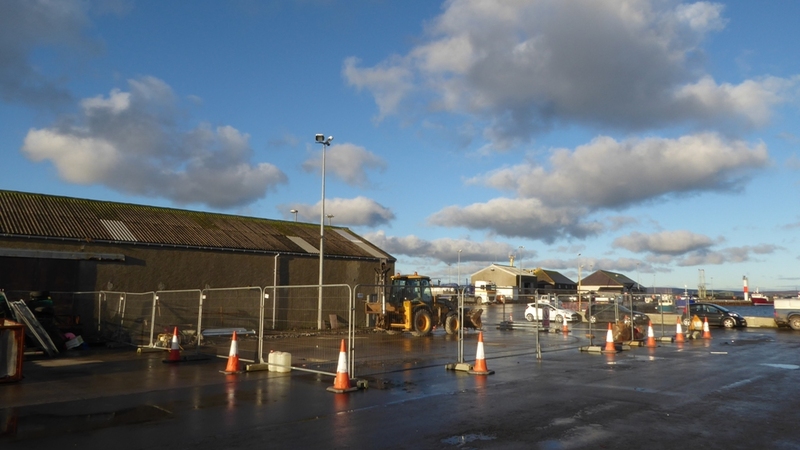 Surf 'n' Turf has taken its first concrete steps on the ground in Kirkwall, as building work starts at the harbour. The compound will safely house the fuel cell and the hydrogen store while still allowing the public to see what's inside. A local contractor is building the perimeter - part fence and part wall. They are also installing pedestrian safety bollards and the electrical supply cables. If the weather in February is just normal for an Orkney winter, the work is expected to take about three weeks.